Vocal fatigue is a general term that describes strain, tiredness or weakness in your voice. A simple definition of any type of muscular fatigue is that your muscles are running out of fuel faster than you can replace it. Anyone who places heavy demand on their voice can experience vocal fatigue, not only singers. Muscular tension in the neck, throat and shoulders. 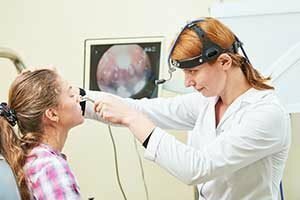 Vocal fatigue can be caused by medical problems with your voice, or by the way you are using your voice (bad habits, or poor technique). Additionally, fatigue can become a vicious cycle, since over straining may occur in an attempt to compensate for the fatigue. Should I worry about vocal fatigue? Strenuous exercise fatigues your muscles. However, the duration of the fatigue and recovery time depends on your level of training and physical fitness. The same principles apply to voice use.Singing involves the entire body and psyche, meaning vocal fatigue is unavoidable sometimes. If there is a reasonable explanation for your fatigue, you might not worry about it in the first instance. However, repeated bouts, or a voice that becomes tired after only a short period, might indicate abnormal vocal fatigue. Vocally-abusive behaviours, such as persistent throat clearing, coughing, yelling, or prolonged loud talking. Monotone speaking and keeping your voice down in a croaky place. By continuously varying the pitch and volume of your voice, you distribute the vocal load more evenly across the entire mechanism. Speaking environments that are dry, smokey, or excessively air-conditioned. These environments will tend to irritate the mucous membranes of your throat and reduce your vocal stamina. Noisy environments cause you to increase your vocal effort and volume in an attempt to lift your voice above the noise – a phenomenon known as the Lombard effect. Vocal stamina is a reflection of your body’s general health – which comes down to four key factors: sleep, diet, hydration and exercise. Above all, people who place heavy demands on their voice need ample rest, as your body regenerates cells faster and more effectively during sleep. Regular intake of fluids is also essential for peak performance. Dr Van Lawrence, a leading medical specialist in voice problems and founder of the Voice Foundation is famous for his advice, “sing wet; pee pale.” Generally, this rule of pale urine during your waking hours is a good indication that you are maintaining adequate hydration. Additionally, wet snacks, such as watermelon, pineapple, strawberries, and stone fruits can help with hydrating your body. Furthermore, humidifiers and steamers will help to soothe a fatigued voice by providing environmental hydration. 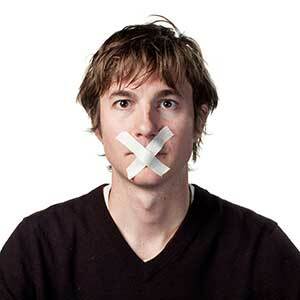 Man taking vocal nap with masking tape on mouth. In their book The Vocal Athlete, speech pathologists Wendy Leborgne and Marci Rosenberg suggest that heavy voice users can benefit from including regular vocal naps throughout the day. A vocal nap is a short period of voice rest from (5 to 20 minutes). Throughout your working day, try to vary your workload so you can find short periods of vocal rest and so that you don’t do all your vocally-intensive work in one short period. Likewise, try to make effective use of break times by resting your voice. Clean onsets, so you don’t start phrases with a breathy tone or with a hard attack (glottal onset). Flexibility so that you can vary your vocal range and intonation. 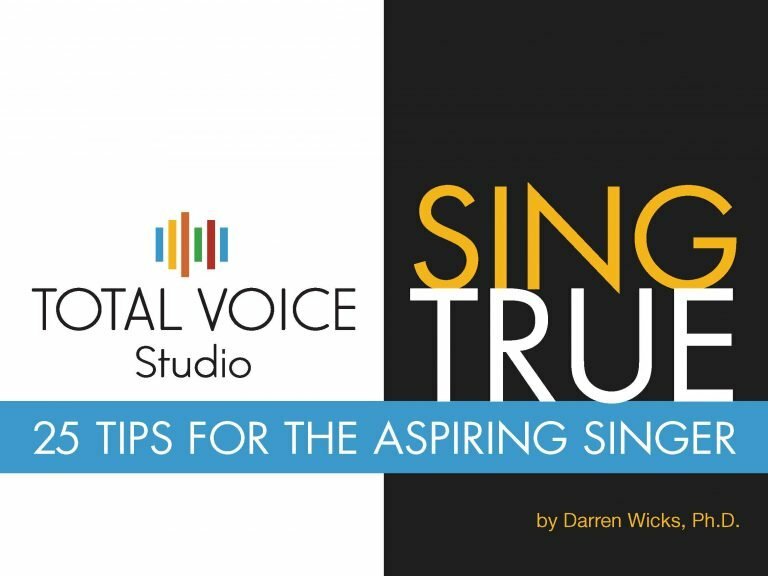 All singers and professional voice-users need to know how to warm-up their voices effectively. A good voice coach can help you develop a warm-up tailored to your needs. Research has shown that singers who warm up, report fewer instances of vocal fatigue and recover more quickly from heavy voice use. Wicks, Darren (2015) – Coping With Vocally-Demanding Jobs.